Rebecca Morgan Frank is the author of the forthcoming collection Little Murders Everywhere (Salmon Poetry, 2012). Her poems appear in Ploughshares, Prairie Schooner, Guernica, The Georgia Review, Post Road, and Best New Poets 2008, among other journals. 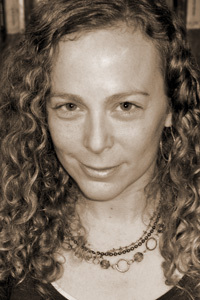 She is the recipient of the Poetry Society of America’s 2010 Alice Fay di Castagnola Award and editor-in-chief of the online magazine Memorious.org. Frank teaches writing at Emerson College and at Massachusetts College of Art and Design in the low-residency MFA program at the Fine Arts Work Center in Provincetown.